Ms. Afriat is a native of Strasbourg, France, and holds a bachelor’s degree in Foreign Languages and Tourism. 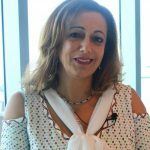 She describes herself as an "international woman" speaking several different languages including English, Spanish, French, Hebrew, and Arabic making her an asset to the diverse Miami business community. Her career has had her operating from Spain, Greece, Turkey, Italy, Kenya, Sri Lanka, Seychelles, and the Caribbean. She started her own business in Martinique and expanded it internationally to include the United States. She successfully sold her business and made the decision to help other entrepreneurs, and investors enter and exit mid-market business ownership.